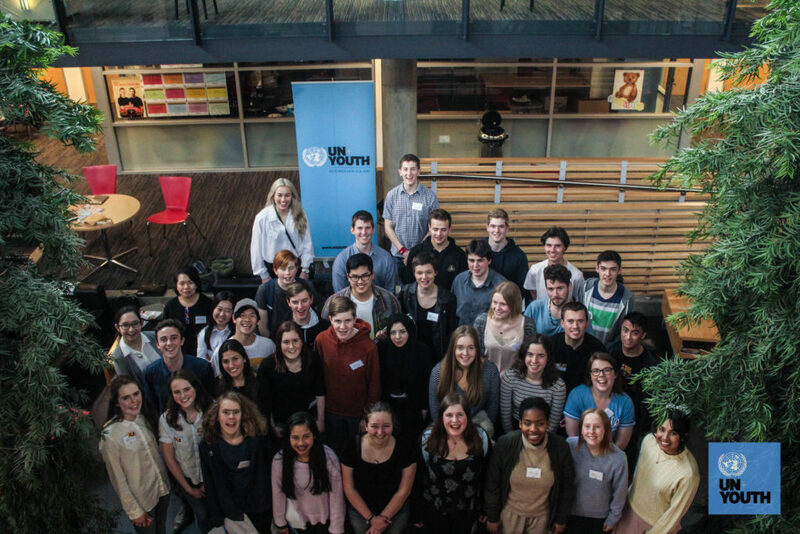 These statements represent youth voices of Otago and Southland on pressing issues we face. We hope they can inform the local and national policymakers, businesses, schools, parents, teachers, community organisations and the new government of the changes we’d like to see. Continuing to oppose results-based pay schemes for teachers which disproportionately harm teachers in schools in low socioeconomic areas. 2. We propose that applicable life skills and civics education that includes the New Zealand constitution are made compulsory across secondary schools, including for Year 11-13 students, so that NCEA can adequately prepare us for the real world. 3. We know that education is about more than students in classrooms. We want to see more transparent communication between students, whānau, and schools and encourage support for student councils and the implementation of school-wide student referenda to influence management and governance decision-making. 4. We believe the education system is vital for providing education on mental health as an integral part of youth development. We encourage promotion of and access to resources such as external services, as well as access to competent, qualified counsellors within schools. 5. We acknowledge the difficulties faced by students with special needs and the importance of integration and inclusivity in a way that plays to their strengths. We urge schools to provide specialised, uniform services across schools for these students with an added focus on students with physical disabilities. 6. We urge that compulsory context-based Māori studies, with a specific focus on Te Reo and tikanga Māori, be taught in the primary and intermediate curriculum. 1. We propose a written constitution and encourage a partial entrenchment. Alongside Treaty of Waitangi principles, the New Zealand Bill of Rights Act 1990 and Electoral Act 1993 should be entrenched. Recommends equal rights for parental leave regardless of gender. Mandate equal pay for any two persons with the same role. Pursue an international treaty with cyber corporations to help inform authorities and prosecute harmful digital users. Mental health patients at this stage are disqualified from choosing assisted dying. 5. We call for the New Zealand Government to grant the right to vote of all prisoners. Polling stations are opened in more schools during advance voting to make voting more accessible for eligible students. Increased funding in not-for-profit youth mental health services such as Youthline. 2. We recommend health is taught at all secondary year levels with increased time allocation. We would like a focus on increasing attention towards LGBTQIA+ identity, as well as mental health and suicide awareness through practical activities rather than just textbook studies. 3. We believe that NCEA examinations should be accessible for all students and recommend that reader-writers be subsidised so that every student who needs one can have one. Further, we encourage that mental health issues be included as grounds for receiving derived grades, rather than just the currently implemented biomedical model. 4. We think the importance of the arts is undervalued is undervalued in New Zealand schools. We suggest that the NCEA arts curriculum is amended to encourage creativity and freedom of expression. We endorse the introduction of a compulsory “warrant of fitness” for rental homes to ensure that vulnerable populations have affordable access to warm, healthy and dry homes. Wish to reinforce cultural diversity through community events that engage with refugees and immigrants. 7. We recognise the importance of social interaction for the mental health of youth in New Zealand, and thus encourage the establishment of hubs to facilitate face-to-face interaction. A wider choice of affordable after school and holiday programmes should be introduced throughout New Zealand, which will help stimulate the development of young minds. We suggest scholarships for people who are actively participating in their community as recognition for their efforts. Implore that DCC create contingency plans for worst case scenarios. 2. We urge regional authorities in Otago and Southland to look into alternative disposal systems with the goal of zero waste within the foreseeable future especially with regards to diversification of recycling methods and prevention of e-waste and organic waste. 3. We encourage regional authorities to increase public awareness around the methods of waste disposal in the general Otago and Southland population. 4. We recognise that agriculture is a large contributor to pollution and encourage regional authorities in Otago and Southland to incentivise cleaner agricultural practices. 5. We encourage phasing in of electric public transport and suggest an implementation of electric bike rentals. 6. We encourage the regional authorities to incentivise the use of electric vehicle use, such as through the offer of free parking. 7. We encourage the Otago and Southland regional authorities to implement a housing warrant of fitness, similar to one in Wellington, especially concerning property for sale or rent. 8. We urge the government to reach the goals laid out in the Paris Climate Agreement to reinforce our “clean, green” image. 9. We strongly disapprove of the extraction of offshore fossil fuels. 10. We request that the DCC increase transparency of its action on environmental issues and policy, including having up-to-date information on its website. 11. We urge for a ban on all single-use plastic, most notably single-use plastic shopping bags. 12. We strongly encourage local government in the Otago-Southland region to work alongside schools and private sector companies to implement viable fossil fuel and biomass alternatives in schools, to keep up with schools in other regions who have taken these steps already. Suggest schools offer financial support for those unable to provide their own devices, in line with aforementioned whitelists. 2. We encourage increased technological literacy in both students and teachers, with particular emphasis on typing and cyber-security. 3. We consider it important for the general public to stay informed of current advances in science and technology, through improved communication with the scientific community. 4. We note that in schools where full technology integration has occurred, the use of technology has proved effective for our learning. 5. We encourage research into teacher control classroom management systems for devices with a view to implementation, as long as privacy is respected. 6. We encourage the diversification of sciences and understanding of their value throughout secondary school education. 7. We stress the importance of increasing analytical thinking with regards to science, with increased understanding of scientific outcomes and limitations. 8. We regard increased science exposure and involvement in primary school to be of significant importance, including an understanding of the value of science education in schools. 9. Suggests that emphasis on digital education be placed more on high-schools. 10. We recognise that having sustainable infrastructure in schools and public places further educated people on sustainable practices.